Next to Winter Island Marine Park, at the northern entrance to Salem Harbor. The park is open to the public for a fee. On Winter Island there is an area called Execution Hill, where there were several hangings in the 1800’s. Fort Pickering (Winter Island) lighthouse was built in 1871 as part of a three lighthouse system, with Derby Wharf light also in Salem, and Hospital Point light in nearby Beverly to accommodate the shipping traffic around Salem harbor. One keeper accepted a job on shore heading up the Plummer Home for Orphaned Boys and was fired as keeper when word got out of this new second position. It is documented that Keeper John Harris was absent from the lighthouse for only five nights in his 37 years of duty, even though he was only a few miles away from the city. In January 1934, a blizzard with temperatures below -10 degrees, kept 30 men in the keeper’s house covered in snow with no heat until a plow could get through. Both Fort Pickering (Winter Island) Light and Derby Wharf Light are easily accessible. Winter Island Park offers campsites for recreational vehicles, a boat launch, picnic areas, a bathhouse, and a short beach for visitors for a parking fee, residents can visit for free. The lighthouse is an easy walk with a few hiking trails around. Salem offers plenty of museums and cultural events that document Salem’s history back to the days of the pilgrims. Salem’s fame in its famous witch trials from the fears of witchcraft in the 1690’s that spread throughout the nation and Europe is told at The Salem Witch Museum. Salem Willows Park is an oceanfront neighborhood and amusement park with two beaches, 200-year-old willow trees, and a historic carousel built in 1866. Visitors can explore lighthouses in the area on the Schooner Fame, an old time sailing vessel out of Fort Pickering. From Highway 1A in Salem, turn right onto Derby Street/Fort Avenue and continue to Winter Island Road. Turn right onto Winter Island Road and follow it to its end, where you may need to pay a fee to enter the park. After entering the park, keep to the left and the road will lead you to the lighthouse. Boat cruises mentioned below may offer many types of cruises. While some may offer specific lighthouse cruises to Fort Pickerling Light, some will pass by specific lighthouses as part of charters, narrated wildlife and historic tours, ferrying passengers, whale watching, fishing tours and other types of excursions. The Salem Sound Tour provides close views of Baker’s Island, Fort Pickering, and Hospital Point lighthouses on a motor catamaran. There is an annual lighthouse tour in August. Besides nature tours, they also have a drop off tour at Misery Islands, let you explore, and then pick you up. 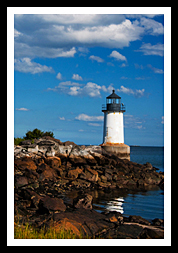 Besides Boston Harbor tours, there are also the Southern Lighthouse Tour, and the Northern Lighthouse tours offered. Replica of early 1800’s schooner. 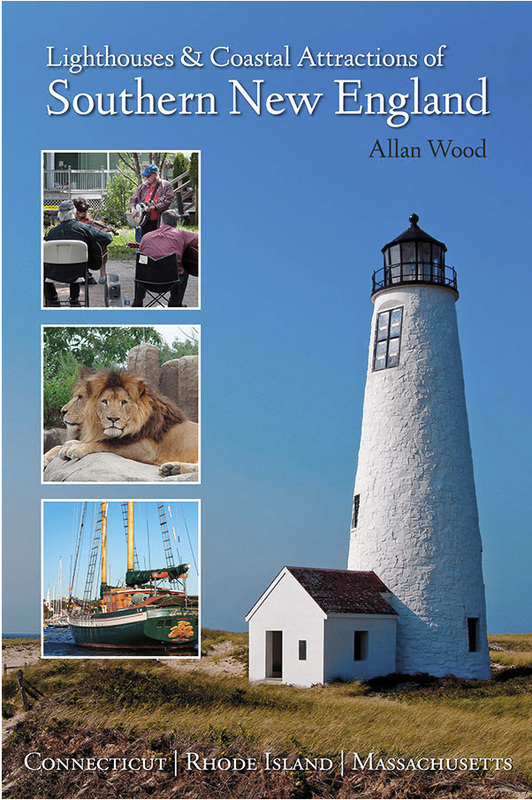 My 300-page book, Lighthouses and Coastal Attractions of Southern New England: Connecticut, Rhode Island, and Massachusetts, provides special human interest stories from each of the 92 lighthouses, along with plenty of indoor and outdoor coastal tours and attractions you can explore.